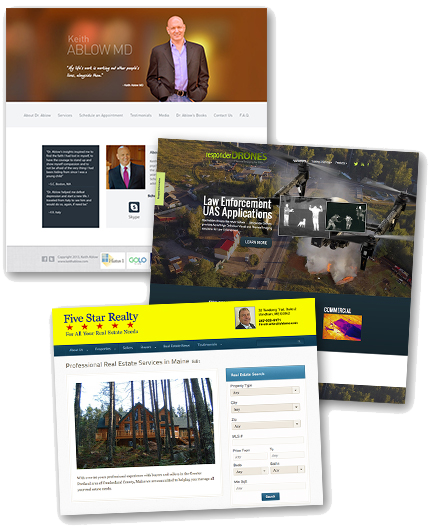 System Architecture proudly hosts a variety of organization’s websites across multiple disciplines. We collaborate with our clients to offer programming and design support to previously developed websites or will create new ones. We work with our clients to understand business needs, audience and budget. We will make recommendations based on industry best practices and will provide the tools and training you need to be able to understand and engage with your customers. We pride ourselves on providing support across multiple industries. The inclusion of a variety of industry types allows us to think outside the box and not be confined to your competitors or a particular style. We can concentrate on highlighting what your organization has to offer and make it easy for your audience to extract the important information they desire.